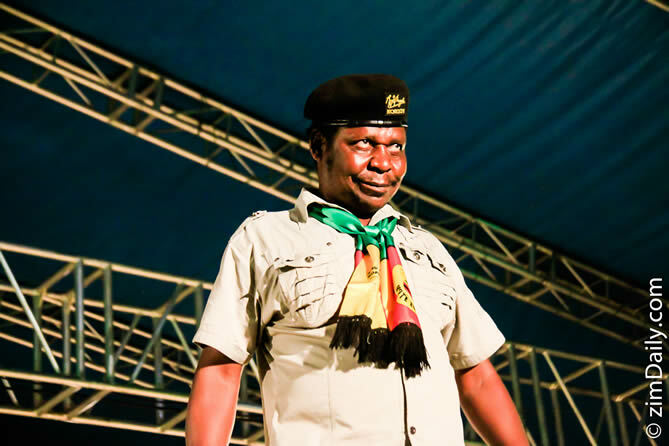 HARARE – Prominent revolutionary musician and songwriter Dickson Chingaira Makoni popularly known in music circles as Cde Chinx is said to be critically ill with an undisclosed ailment at St Annes Hospital in Harare. The popular musician is said to have been admitted at St Anne’s hospital on Wednesday after complaining of exhaustion, chest and knee pains. Earlier this month, ZimDaily.com caught up with Cde Chinx at the Prophetic Healing and Deliverance Ministries led by Prophet Magaya where he was receiving spiritual healing. “I have been to hospitals, have had several tests taken but nothing was found. I feel so much pain in my chest, knees and general exhaustion. Since I came to the PHD Guest House, my health has since improved,” Cde Chinx told ZimDaily.com then. There was a widespread rumor during Heroes celebrations a week ago that the musician widely aligned to the ruling ZANU PF party had died. Chinx had come out on Zimbabwe television disputing the rumors. Cde Chinx is considered one of the best musicians to emerge out of independent Zimbabwe. He is known for his revolutionary music which includes songs such as “Africa”, “Hondo Yeminda” and “Mabhunu.” He was born in Rusape on September 27, 1955 and attended Chigora Primary School in the Makoni District of Rusape. His interest in music began when his primary school headmaster, a Mr Martin Dlamini encouraged him to sing and to join the school choir. On completion of secondary school, the young Chinx got a place to study medicine overseas but then failed to secure travel documents and the whole programme collapsed. In 1975, Chinx joined the Second Chimurenga war in Mozambique and became a full-time ZANU PF People’s Choir organizer.